Check out these awesomely pretty hairstyles that are a lot easier than they look and that we definitely suggest trying this year! Have you spent years wrestling with your unruly hair parting trying to get it to sit in a neat, straight line? We can almost never make ours behave but clean parts down the centre of your head or along one side have been the style for so long that we always just tried to make it work. 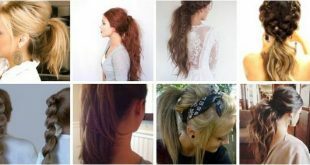 Seventeen, however, suggests switching it up and working with the natural angles in your hair instead! Try this cute little zig-zag part in your bangs or all the way through your hair to the back. Fishtail braids are one of those awesomely versatile looks that you can glam up and wear with something more formal or dress down and wear as a comfortable casual look as well, depending on how you feel that day. We like Beauty Coach‘s idea of sweeping all your hair to the side before you weave the braid so that is lies nonchalantly across one shoulder. 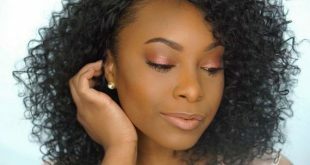 Pulling the top half of your hair up and away from your face isn’t necessarily a new style and we’ve been doing this one for years, but this ever so subtle variation from Jewel Sha’ree is a nice variation from the norm. Rather than sweeping it all back, part your hair in the middle and sweep it from the sides so that the hair stills delicately frames your face. 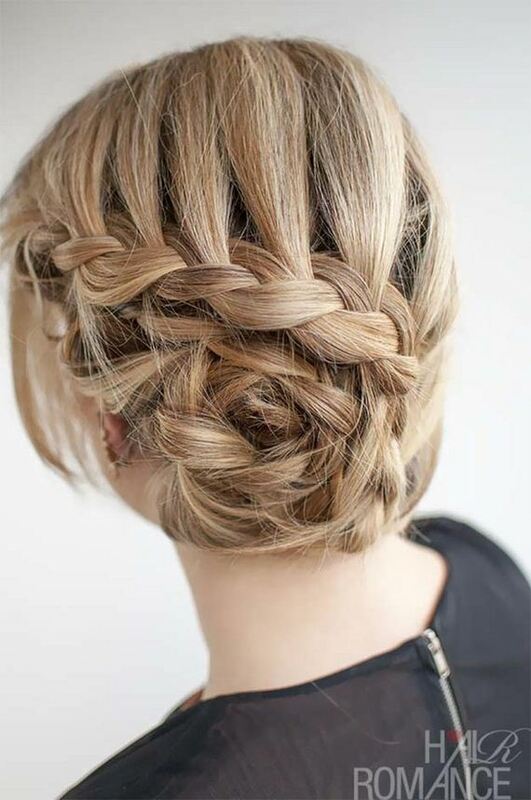 We love a good braid in any unique direction and we love that you can pin them back for a delicately intricate look as well, but this four strand push-up braid from Hair Romance is particularly unique in the way it’s not only woven but also pushed up the middle strand to create a looping effect, almost like woven wicket. Pin it in just about any direction and it’ll look gorgeous! Buns placed high up on your head aren’t necessarily the most innovative hairstyle you’ve ever seen, but, like we said before, even the most subtle changes can update a style for the new year. 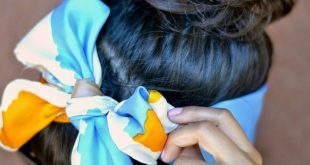 Seventeen suggests not just winding your hair into a bun once you’ve swept it up high, but twisting it into a knot so that the ponytail of hair appears to weave in and out of itself in a pretty way. Dutch braids are already a pretty hair design in themselves because they look like cute little French braids that have been flipped inside out. You can make them even more interesting looking, however, by playing with tension, placement, and angles, just like Beauty Coach did here. 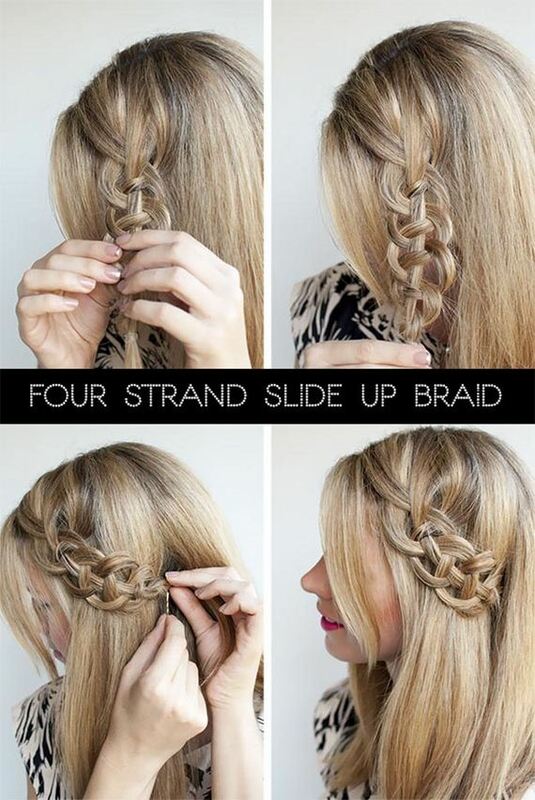 A loose Dutch braid down one side is a refreshing look! Do you love fishtail braids but you’re still looking for a better way to spruce them up than the side braid we already showed you? Then try this loose fishtail bun instead! Once you’ve finished the braid, lightly pull the strands to loosen the weave and curl it up into a bun, just like Once Wed shows you here. Braided chignon buns aren’t necessarily a new style, but they’re one that hasn’t been overtly trendy in a while, even though they’re still beautifully classic. If you ask us, however, sometimes it’s a good idea to bring a classic back with an otherwise modern look! Camille Styles guides you through the process of braiding the hair into sections and winding those braids into a cute wrapped bun low at the back. Have you always been intimidated by the thought of giving yourself the perfect blow out and building volume in your long flowing tresses to try and get that impossibly perfect waving movie star look? Well, don’t be scared to try your hand at the style anymore! Seventeen is here to help you out with each step to get the right look. Did you build your waves in a way you’re satisfied with but you’re still not quite happy with the overall look? Try giving it just a touch of extra glamour by sweeping all your hair to the side instead of just letting it hang! Fora shows you how to do it without a part. 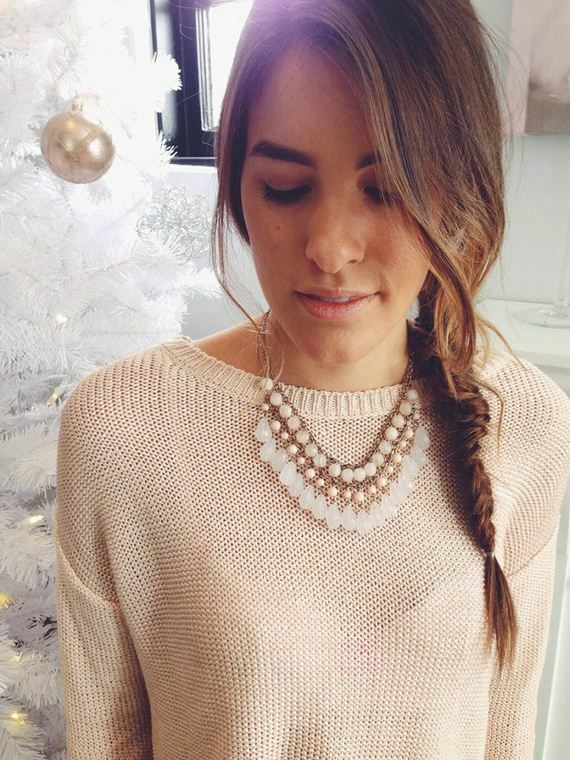 Have you ever made a scallop braid, or even heard of one? We hadn’t, but we’re ecstatic to know about it now that we have! This unique chunky braid looks almost like a pony tail that has curled thickly around itself in pretty spirals all the way down. Hairstyles Tutorials shows you exactly how it’s done step by step. Remember when we were talking about playing with direction and shape when it comes to French and Dutch braids? Well, this spiraling braid idea from Hair Romance pretty much takes the cake in that regard! You’ll use the same strand gathering techniques as you would for a normal French braid, but their tutorial teaches you how to guide the hair around itself into a swirling bun. Adding adorable little floral embellishments to your hairstyle is always fun, but what if you’re really feeling flowers when you don’t have a flowered clip available? Well, the beauty of having long hair is that you can simply build yourself a flower right from your hair instead! 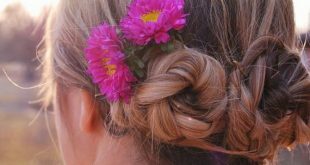 Prime Hair Tools shows you precisely how to make delicate flower petals from a loosened braid woven into a spiral. 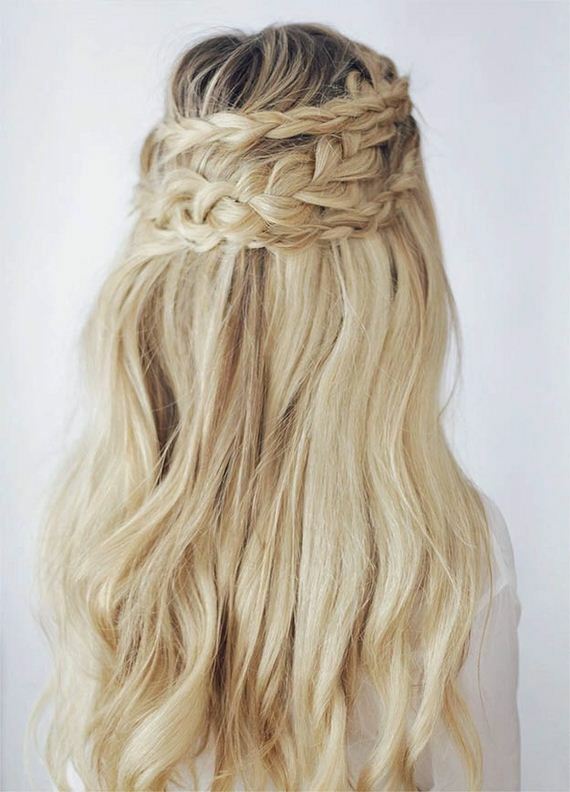 Have you always been a fan of waterfall braids but you’d rather find a way to make it even more intricate and impressive than it already was in its classic iteration? 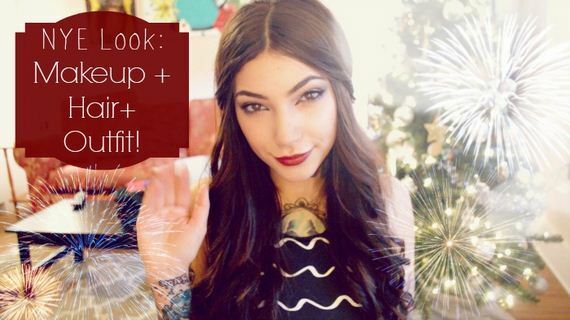 Then Hairstyles Tutorials is here to show you their half-up boho version! You’re technically creating three separate waterfall braids, weaving the strand ends from the braid above into the one below. Finger waves are another style that have always been a mark of classic fashion and beauty but aren’t necessarily at the height of what’s trendy right now. That doesn’t mean they’re not an option for you, though, when you’re feeling extra glamorous! Visual Makeover reminds you that sometimes the best way to impress is to bring back a style that people always appreciate but often undervalue.